“Your skin absorbs 60% of what you put on it and 26% of what you put on it is absorbed into your blood stream within 26 seconds,” isn’t that bonkers?! When your child has a Life Changing Diagnosis, you really evaluate the things that matter. ETHICAL BEAUTY PRODUCTS is one of them- especially with a gorgeous Mane like Fin’s. When Fin was a baby- I was all about Honest and the organic goodies from the store- but finding a NATURALLY BASED product that was good for you and WORKS good for you is a whole other ball game. We LOVE using Beauty Counter Body wash in the TUB, and find that those don’t leave a film or residue on ur skin. MONAT products are produced using the highest quality food and pharmaceutical grade botanical extracts, essential oils, vitamins and minerals. We do not use industrial grade vitamins that are found in most body care products on the market today. The company keeps track of their quality by enforcing “Small batch manufacturing” as it assures that the products are consistent. Being the #1 Luxury Haircare company in the US you would assume a huge factory dispenses products into bottles in mass quantities with no regard for quality control- but even though its costly to continue- the company maintains their integrity and standards. This might just be my favorite thing!! The products are never boiled. Which I’m sure you’re like- okayyy…. but this assures that the natural, health giving vitamins and botanical extracts will not lose their nutritional values. Most cosmetics are manufactured in large steam pressurization vats that boil the products at high temperatures, which causes them to turn to a liquid or cream state. This is equivalent to boiling your vegetables too long, taking away all of the nutrients. These products are one of the BEST things you can use on you hair no matter you hair needs- there’s tons of products to choose from as they are problem specific. If you’re curios and wanna give them a try for yourself feel free to take my free hair quiz. we have a regimen for you!! I am truly obsessed with these products. I am SO GLAD they exist- they’ve helped many of my customers with psoriasis, dandruff, unmanageable hair, and also- the shine they give the hair is truly incredible. 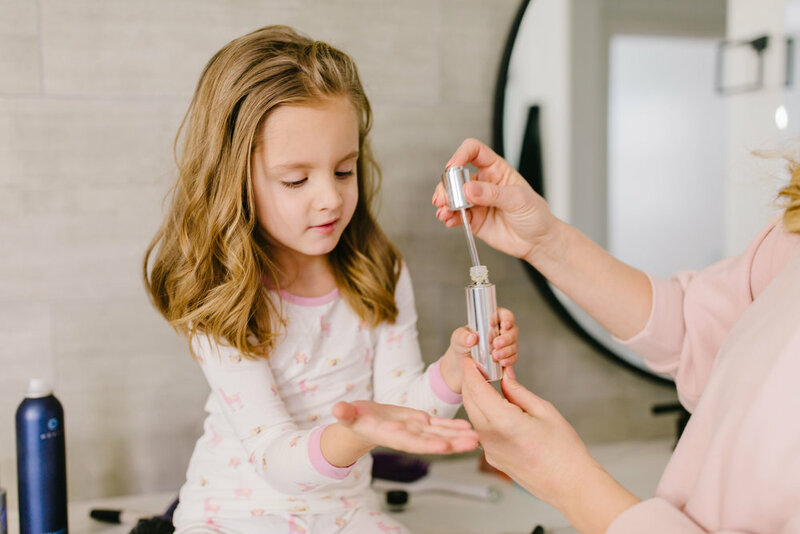 If you have a kiddo that you would like to try the MONAT JUNIOR line on, I highly recommend starting ASAP!!! You won’t regret it! FOLLOW MY PERSONAL ACCOUNT ON IG - DM ME IF YOU”RE INTERESTED IN FINDING THE RIGHT REGIMEN FOR YOU!